The world of Dr. Dan Burisch has changed drastically since we originally did our in-depth program on him and his claims of representing MJ-12- His wife and reported handler, Debbie Burisch is now an X and his long time assistant Dr. Marci McDowell married him almost two years ago. His strange separation from his parents, John and Dodie Crain is now over and we are told that as recently as New Year's eve, the four spent the evening together. We present this collection of older shows as in recent talks with his representatives it appears not much has changed other than when we met him he was a recovering Catholic but now it seems he has embraced Judaism or at least that is what we are told by those around him. 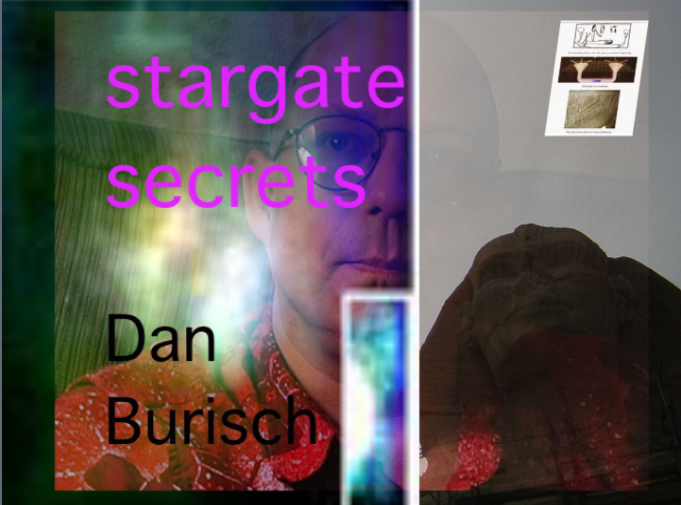 One of the most mysterious men in UFO lore, Dan Burisch goes public in a big way. His associate Marcia McDowell and Dan agreed, for the first time, to appear in front of a live audience and be interviewed at the International UFO Congress in Laughlin on Saturday afternoon. 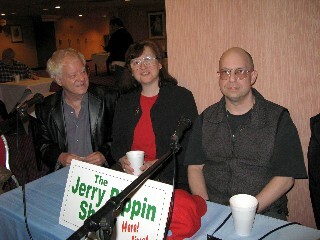 The show was broadcast from the Jerry Pippin Show booth set up in the convention center lobby of the Aquarius Casino Resort. Producers for this series: Larry Dicken, Jane Swartley, Roberta Scott and Casey Clare. Preview below of content of Dan's Second Debriefing DVD - Coming Soon. Dr. Dan Burisch recorded in Las Vegas. Interview 2 Follows. Don't miss it. Introducing Dr. Dan Burisch, on the left with associate, Dr. Marcia McDowell: articulate, provocative, human, compelling, and - as some insist - challenging to believe, Dan and his story are integral components of our efforts to understand and come to grips with the bewildering labyrinth that is the mystery of who the aliens are, why they are here, how we interact with them, and what may be at stake. When Project Camelot was granted an interview with Dan, we traveled to Las Vegas not knowing what to expect. In Dan and his colleague Marci McDowell, we found two very human people whom we quickly came to like. We built an excellent relationship with them, and shot over two hours of video, which we present below. Whatever you currently know, believe you know, or don't know about Dan's experiences, we think you'll find this interview of significant interest. 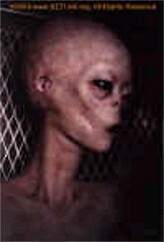 Dan discusses his experience in Area 51, where he befriended a captive J-Rod EBE called Chi'el'ah; his complex relationship with Chi'el'ah, extending across decades and timelines; his connection with Majestic-12; the war between Majestic and the Illuminati; the race to close down the Looking Glass technology and secure the man-made stargates leading up to 2012; the calculated chance (19%, or 1 in 5), that 4 billion people will die from natural catastrophes triggered by the activation of the man-made stargates; the twists and turns of the convergent timeline paradox that affect the aliens from the future as much as they do ourselves; and much, much more. In this unique interview, Dan is entertaining, humorous, serious, emotional, articulate and sincere, as he responds to incisive questions... all the questions we ourselves wanted to ask in order to better understand his experiences. This unique testimony will give you a long, close-up look at the real Dan Burisch. We hope you enjoy and appreciate your time with him as much as we did. Interview introductory comments provided by Bill Ryan, Project Camelot Productions. 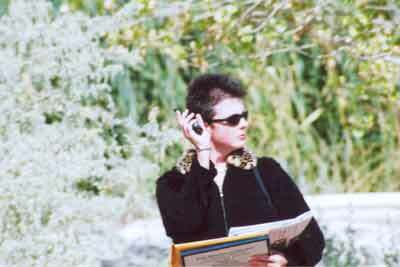 Videos produced, directed and edited by Kerry Lynn Cassidy, Project Camelot Productions. Images above, other than the EBE representation, are courtesy of Marcia McDowell and Dan Burisch. From Kerry and Bill: "We were delighted to have the chance to interview Dr. Dan Burisch again almost a year after our first meeting. In this second in-depth interview, which arose from our having presented him with a long list of questions of our own, Dan goes into great detail about both the technology and the politics of the Stargates and the Looking Glass. He also discusses the 'Cube', which may or may not be the same device as the famed 'Yellow Book', or the 'Black Box' reported by our important witness Henry Deacon. We also want to take this opportunity to publish an announcement, as supplied by Dr. Marci McDowell, who works closely with Dan. Marci asked us to make the following formal statement on Dan's behalf:"
Dr. Dan Burisch is on a necessary hiatus from official public contact until later this year. Unfortunately, there is very little that I am allowed to say, regarding what Dan is doing. We have informed the public that he is NOT working for Majestic. Majestic no longer exists. Dan retired from that group in September, 2006. Majestic sat formally adjourned in October, 2005. 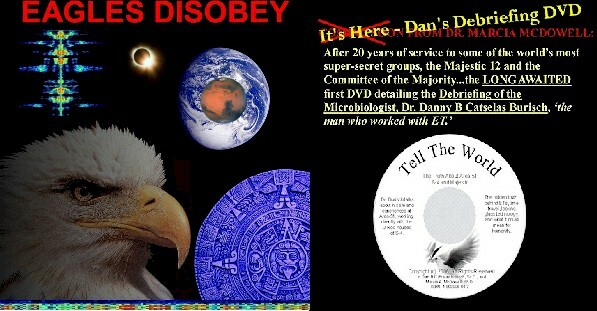 I can say that Dan's present activities are so important, pressing and secret that those in the new group, the group which took over for Majestic at the end of 2006, the group for whom he has agreed to make himself available, sought him out for this assignment and insisted that he have limited to no public contact until after December 14, 2007. This will provide the time for him to complete his activities with them, and be debriefed from the assignment. His present assignment is National Security related. Due to the nature of the assignment, Dan has accepted and been sworn to a National Security Oath. 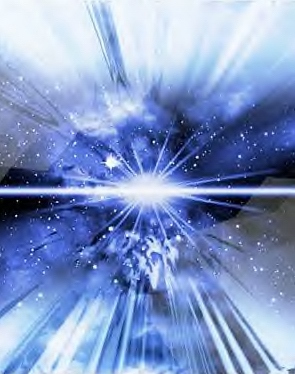 Following his activities for the new group, Dan and I will be publishing our new book, Emanation of the Solfeggio, which will detail cutting edge discoveries in the area of acoustics. Next year, he and I will be speaking publicly (in person) about Project Lotus - the groundbreaking investigation into a strange silicate-associated phenomenon which may be altering the genomes of every living organism on planet earth. We are presently scheduled for an academic venue and planning a general audience presentation. (Introductory video trailers are already on Google.) 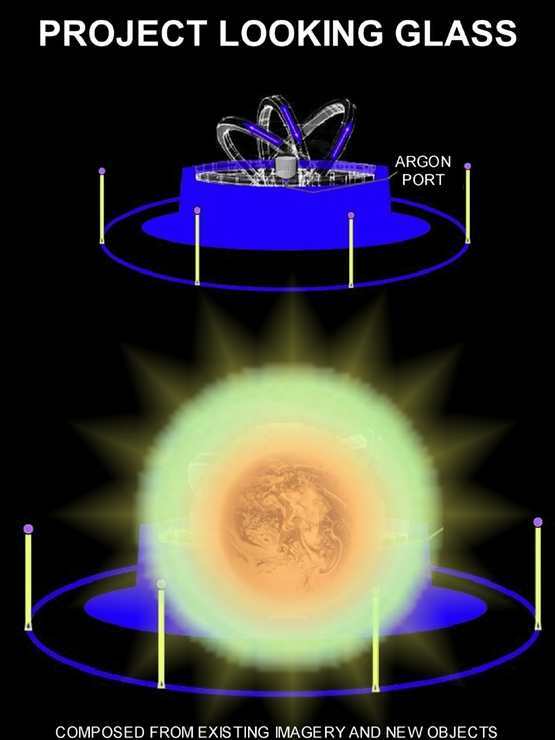 A new edition of our work on Mars and Earth anomalies is also underway. for other video interviews by Kerry Cassidy. Do you have questions for Dan concerning these interviews? Click on the banner above to participate in his forum. What's your opinion about Dr. Dan Burisch and his message? Let Jerry know at jerry@jerrypippin.com. Debbie Burisch receiving copy of Dan's diploma in 2005. SUNY can verify Dan Burisch's attendance at, or graduation from, SUNY Stonybrook. 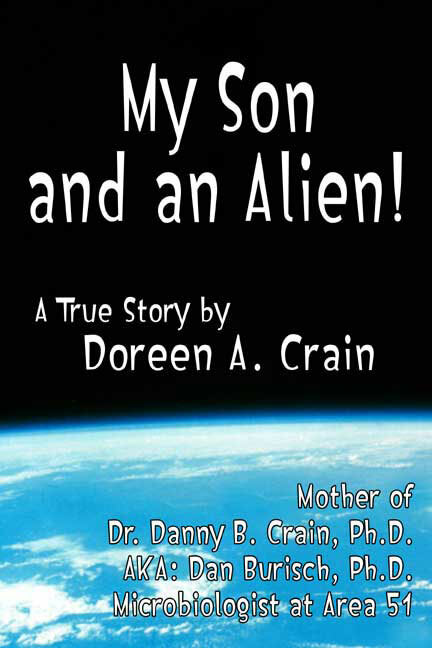 New - Buy Doty Crain's book on our ShopJerryPippin.com site. Click on the book cover above to purchase the book now. 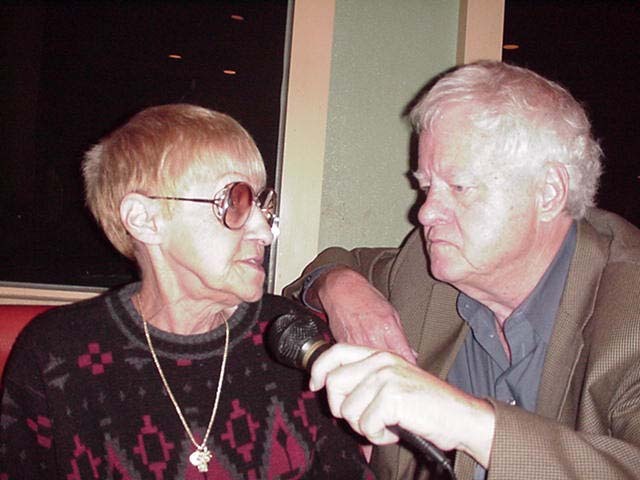 Dodie Crane with Jerry in Las Vegas. This is the first episode in a series of programs dealing with Dan Burisch. 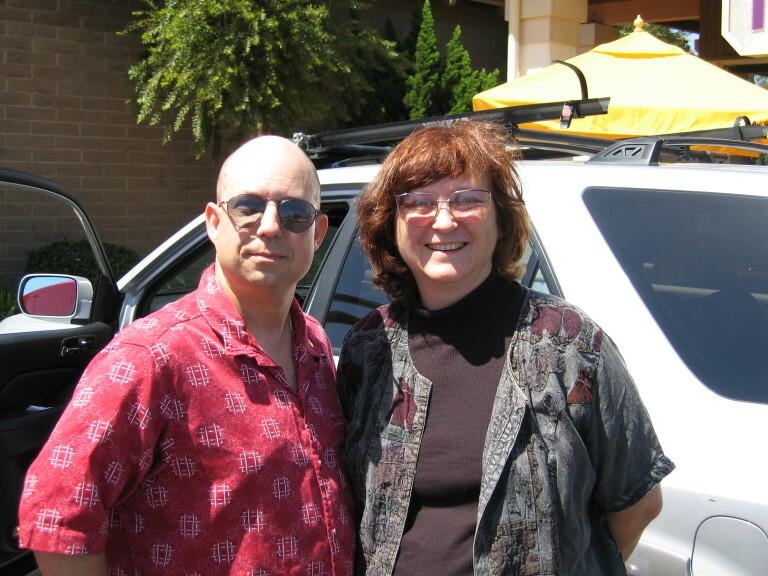 In this episode, Larry Dicken joins Jerry in an overview of the what the series will cover, and Dan's mother talks about his childhood abduction experiences, his education, his PhD credentials and his activities at Area-51. 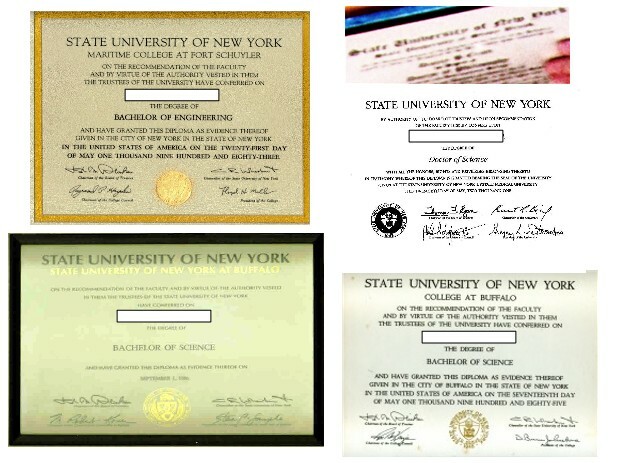 Debbie Burisch confirms the doctorate diploma story told by Dodie Crain, but Larry shows via the composite comparison image (bottom, left) that Dan's degree document (top, right enlarged image within the composite image, extracted from the photo of Debbie) is a fabrication. Everyone involved in the Burisch affair, including Dan, appear to believe that Dan received a SUNY Doctorate degree in 1989, and that the real diploma document needed to be hidden in the UK to allow for future proof of his academic claims. So what does this evidence mean? Does this create a "plausible deniability" situation, in which a betrayed secret government organization disowns and "disappears" an Inside Discloser? Project Aquarius: The Story of Dan Burisch. about the claims of Dan Burisch.